Salt Lake diners have an opportunity to participate in a very unique event: a Michelin-caliber roving guerrilla restaurant, developed and executed by Chef Gavin Baker. The Mist project travels to various cities throughout the country and sets up “camp” for a few weeks. Chef Baker produces an amazing meal which accompanies an exquisite evening. The Mist project stopped for a few days in the Fall of 2008. You can see photos here. 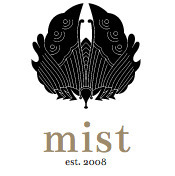 Mist:SaltLake will offer a 15-course tasting menu that will last from 3 ½ to 4 ½ hours. Their website says “Because of Utah’s unique (challenging, impossible) liquor licensing, Mist:SaltLake welcomes you to bring your own wine to the event." At $150 a pop, tickets aren’t cheap, but it promises to be an amazing (and delicious) event.